Gilda grew up in Detroit, and so did I. As a young adult, I felt an affinity with her. You could even say I had a crush on her. I still do. She was someone you just wanted to know, and be “best friends” with. Weird, isn’t it? 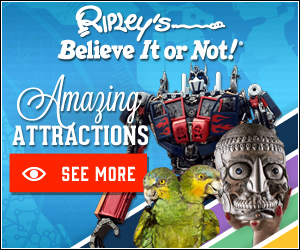 I guess I’m not the only one – Mike Myers said the same thing a while back. He did a commercial with her when he was 9 years old, and fell in love with her. This is going to sound pathetic. 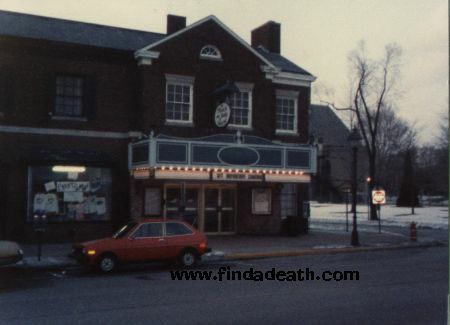 I liked her so much that when I was done working at the now defunct Punch and Judy Theatre nearby that is now destroyed, I would drive to Gilda’s high school parking lot, sit in my car, and listen to the tape of her live show – with her talking about her high school days. My eyes would well up, because I liked her so much. For some reason, I probably sensed vulnerability, and wanted to protect her. I know, I’m a sap. Funny thing is, I found out I was parked in the wrong school parking lot. After a bit of research, I found the right one. Okay, I’ll get on with it. Did you ever see the film, Gilda Live? Though I never got to see her perform in person, seeing this film was the next best thing. I remember that the film didn’t have a major theatrical release in my area, so I had to drive out to the sticks (Dearborn, for God Sake!) to see it. It was magical. I purchased the audiotape of the show, and I wore my first copy out. 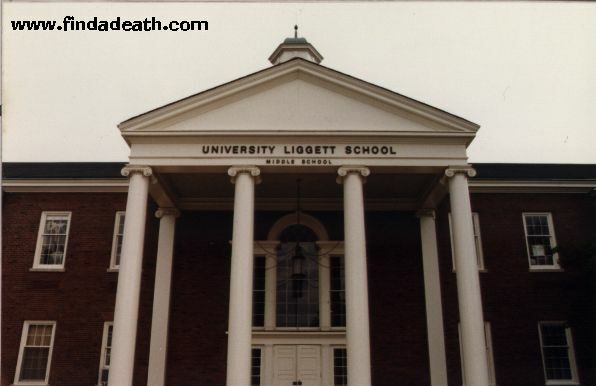 I knew that Gilda went to University Liggett High School, in the ever-so-posh Grosse Pointe area. If you know Gilda Live, in her last story/song, she talks about her high school prom. She goes on about the transformation of the gymnasium, into a crepe paper fantasyland. Here is Gilda’s gym. 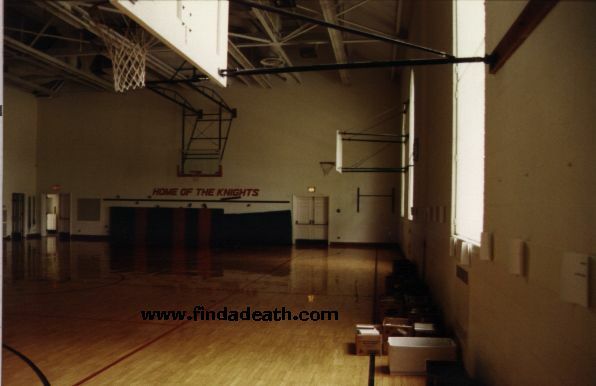 This is the room where the prom was held. 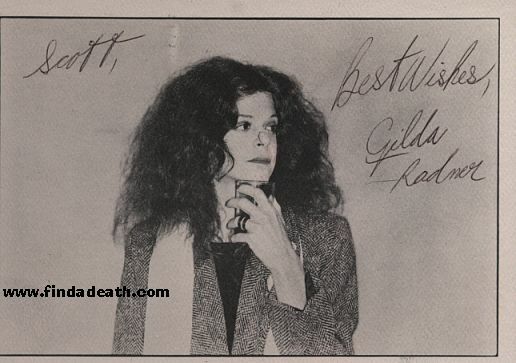 Findadeath.com friend JimEd sends us: Gilda Radner was once briefly married to G.E. Smith, the former musical director for the Saturday Night Live band. 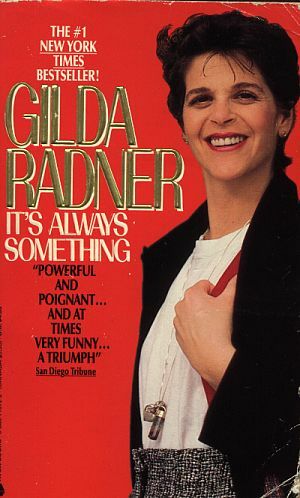 I saw “Gilda Live” a couple of times; it was absolutely hysterical. I’m having a hell of a time finding it on video, though. I wrote Gilda a fan letter. She was kind enough to send me this postcard. I cherish it. 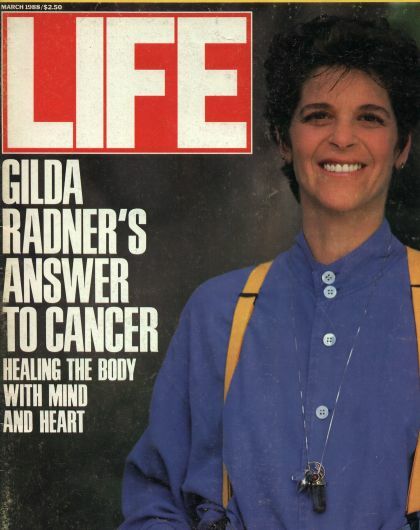 Gilda was diagnosed with ovarian cancer. Cancer ran in her family. It claimed her grandmother, her aunt and her cousin. She once said, “I’ve been having cancer premonitions since I was twelve.” Unfortunately, she was right. They say that if the doctors would have questioned her about her family history, they may have stopped the cancer in time. In the spring of 1988 – she made what was to be her last television appearance, on It’s Garry Shandling’s Show. It was a great cameo. Garry asked her where she had been. “I’ve been away from TV for awhile.” “Yeah, what happened?” “I had cancer,” she chirped brightly, “what did you have?” The future looked bright for her then. She was hoping to have her own television show, and was in discussions for it. She was also working on her autobiography, It’s Always Something. It began with her wedding to Gene Wilder, and concluded with her cancer treatment. She found solace in an organization called The Wellness Community. 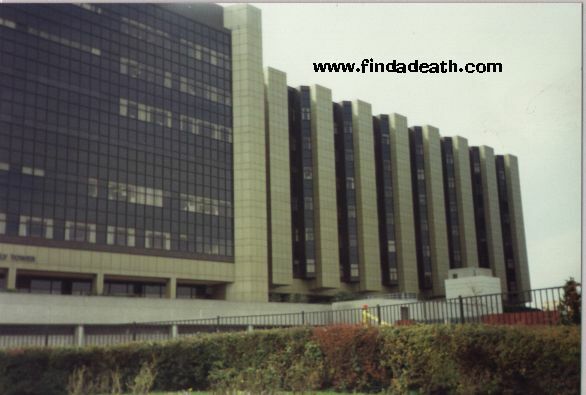 In May of 1988 – the cancer returned. She was mortified and embarrassed. 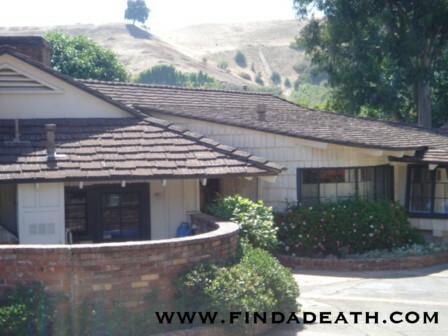 In December of 1988 – Gene and Gilda moved back to California. 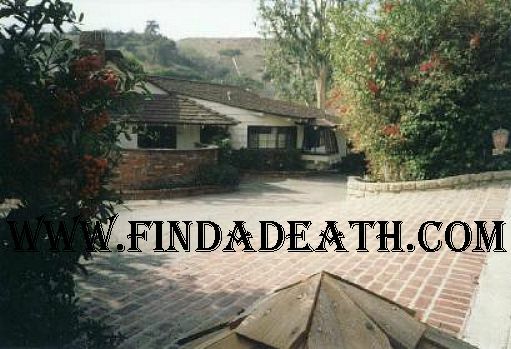 She and Gene (and their dog Sparkle) owned a house on Chalon Road, in LA. 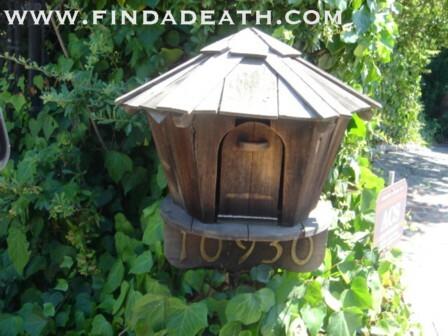 Here’s the house, and another shot of it, oh – and of course – her mailbox. Thank you so much to Findadeath.com friends Mark Cramer, Lilieth Lawrence and Janet Schiessl for getting these photographs for us. Cheers, guys. You are the best. Gilda re-entered Cedars Sinai Medical Center (Thank you Terri Rios, for the photo) on Wednesday, May 17, 1988 for a CAT scan. 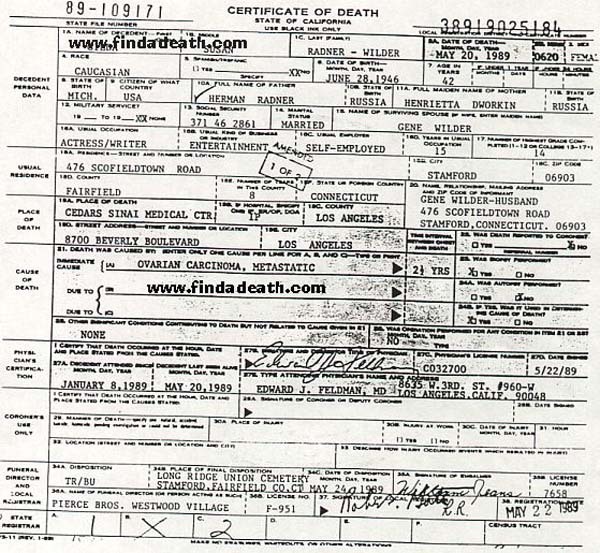 She died at 6:20am, on Saturday May 20, 1989. She was only 42 years old. We were robbed. 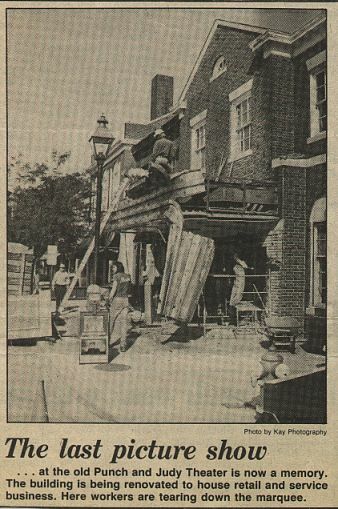 On May 24th, there was a small private funeral for Gilda, back in Connecticut. It rained that day. Family members requested that in lieu of flowers, donations be sent to the Wellness Community. After her death, Wilder took it upon himself to warn others about detecting ovarian cancer early. 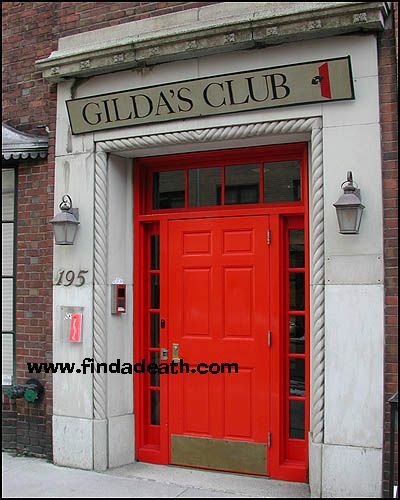 On October 17th, 1993, Gene opened Gilda’s Club, in New York. A psychological and social support facility, very much like the Wellness Community, for cancer patients and their families. There are now branches all over the world. It is her legacy. Thank you to Kevin Fitzpatrick for that photograph. 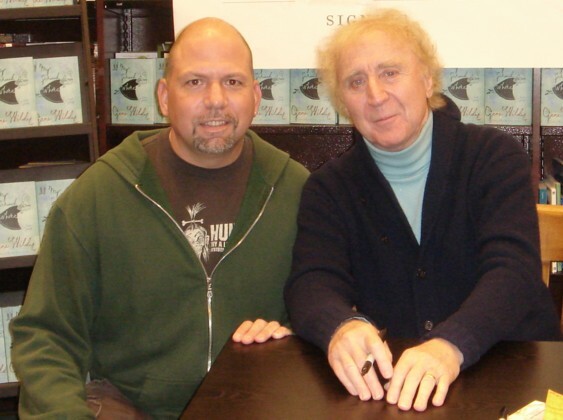 Even more tragically – Gene Wilder is himself now suffering from lymphoma. 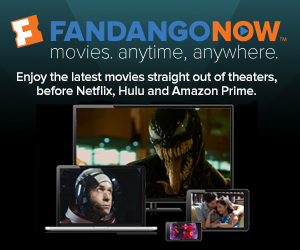 According to Findadeath.com friend Kevin Kusinitz, he is hospitalized at Manhattan Sloan Kettering Cancer Center. He was admitted the week of February 7th. April 07 – Gene is doing great. Know how I know? Coz I just met him again. 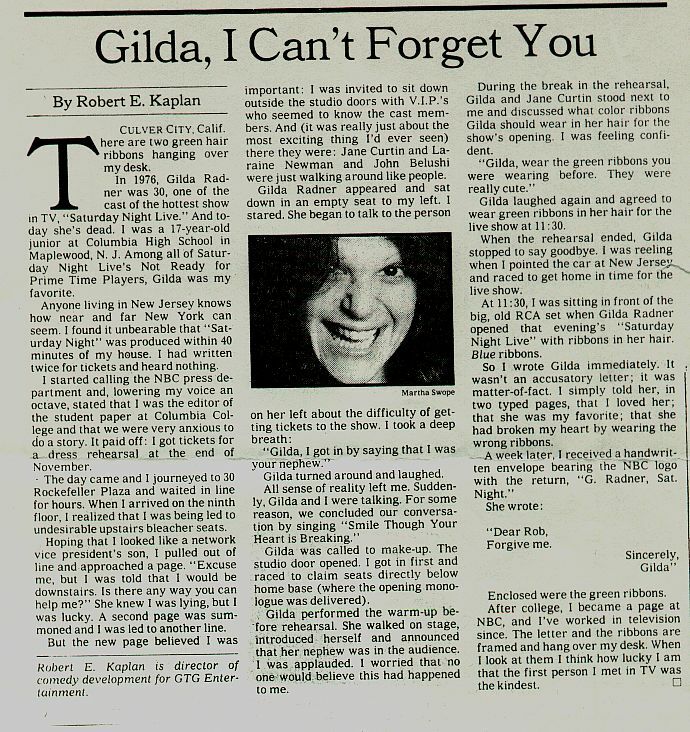 There was a great article written about Gilda shortly after her death. It just reaffirms how nice she was. If you are over sapped now, skip it, but if you want another dose of it, read this article. Findadeath.com friend Gene Miller sends this in: “One of the best comments on her passing came from of all places, the Bloom County comic strip. Opus the Penguin said: “Gilda Radner isn’t supposed to end.” True. 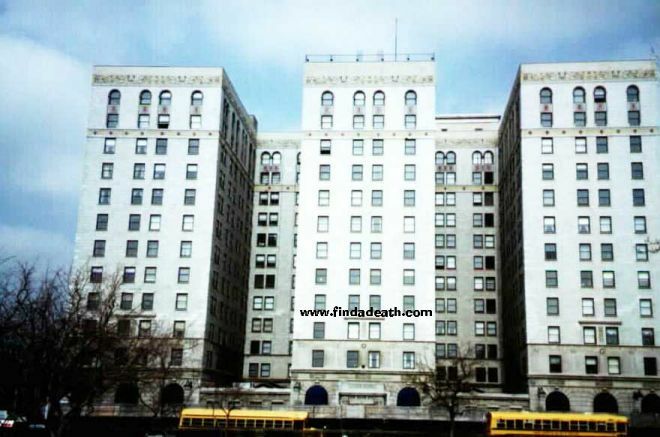 JUNE 2000: Gilda’s dad used to own a hotel in Detroit, called the Park Shelton. My nephew Richard Michaels III lives in an apartment there now, and kindly contributed this photograph. Thanks, Rick! 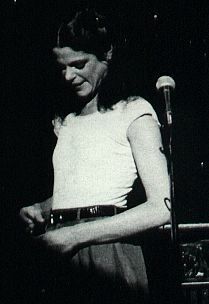 Thanks to Findadeath.com friend Bob Gary, I have now seen the E True Hollywood Story that aired, about Gilda. It was great, and the home movies were fantastic. Thanks so much, Bob.